The first American to become a three-time, long-term resident of the International Space Station (ISS) has just arrived at the orbiting outpost this evening, Friday, March 18 after blasting off with two Russian crewmates in a Soyuz spacecraft barely six hours ago and successfully completing a fast-track four orbit rendezvous. NASA astronaut Jeff Williams rocketed to orbit aboard the Soyuz TMA-20M spacecraft with Russian cosmonauts Alexey Ovchinin and Oleg Skripochka of the Russian space agency Roscosmos. The Russian-American trio vaulted off from the historic Launch Pad 1 at Baikonur Cosmodrome in Kazakhstan on Saturday, March 19, 2016 at 5:26 p.m. EST (3:26 a.m. Saturday, March 19, Baikonur time). Its the same pad from which Yuri Gagarin blasted to orbit in 1961 to become the world’s first human to travel to space. Williams, Ovchinin and Skripochka reached the orbiting laboratory at 11:09 p.m. and successfully docked at the Poisk module approximately 250 miles (400 km) above the Southern Pacific Ocean off the western coast of Peru, after today’s flawless launch and rendezvous with the station. They conducted a fly around maneuver of the ISS with the Soyuz to line up with the Poisk module at a distance of about 400 meters some 10 minutes before docking. Spectacular cameras views were transmitted from the Soyuz and ISS during the final approach and docking. “The crew is now firmly affixed to the space station,” radioed NASA mission control, after the hooks and latches were engaged to complete a hard dock and mate to the station. Their mission aboard the space station will last for nearly six months. Overall this will be Williams fourth space mission, including three Soyuz trips and one Space Shuttle trip to space. During Expedition 47, Williams will set a new record for cumulative time in space by an American of 534 days. Williams has already spent 362 days in space. 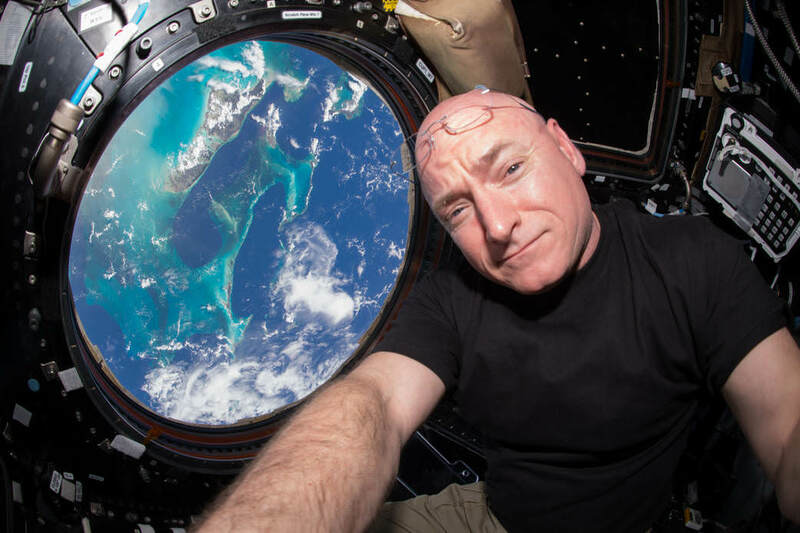 He will thus surpass the recent American record for time in space set by NASA astronaut and Expedition 46 Commander Scott Kelly. With the arrival of the new trio, the station is restored to its full complement of six crewmates and marks the start of the full Expedition 47 mission, with an international crew of astronauts and cosmonauts from America, Russia and England. The three join Expedition 47 Commander Tim Kopra of NASA and Flight Engineers Tim Peake of ESA (European Space Agency) and Yuri Malenchenko of Roscosmos. The combined efforts of the six person crew are aimed at advancing NASA’s plans for sending humans on a ‘Journey to Mars’ in the 2030s. They also follow on and continue the research investigations of the recently concluded mission of the first ever ‘1 Year ISS crew’ comprising of Scott Kelly and Mikhail Kornienko who returned to Earth on March 1 after 340 days in space. After the docking probe was removed and leak checks completed, the hatches between the ships were opened at 1:15 a.m. EDT on Sat. March 19. The new Expedition 47 crew members will conduct more than 250 science investigation in fields that benefit all of humanity, such as biology, Earth science, human research, physical sciences and technology development, during their six month mission. Many of these research experiments for both Expeditions 47 and 48 will be launched to the ISS just three days from now, when the next commercial Cygnus cargo freighter lifts off on the commercial resupply servives-6 (CRS-6) flight. The science studies “include a study of realistic fire scenarios on a spacecraft, enable the first space-based observations of meteors entering Earth’s atmosphere from space, explore how regolith, or soil, behaves and moves in microgravity, test a gecko-inspired adhesive gripping device that can stick on command in the harsh environment of space, and add a new 3-D printer for use on station,” according to NASA officials. The Orbital ATK CRS-6 mission with over 3500 kg of supplies and science experiments will be carried to orbit by a United Launch Alliance Atlas V rocket on Tuesday, March 22. SpaceX plans to launch its next cargo Dragon to the station on April 8, the first since a launch catastrophe on June 28, 2015 ended in failure. The SpaceX-8 mission is scheduled to carry the Bigelow Expandable Activity Module (BEAM). It is an experimental inflatable and expandable module that astronauts will enter. In between, Russia will launch a Progress resupply ship with three tons of supplies, food and experiments. Watch for Ken’s onsite Atlas/Cygnus launch reports direct from the Kennedy Space Center in Florida. Plummeting to Earth during a fiery atmospheric reentry within the cramped confines of their Russian Soyuz capsule, an international trio of space flyers returned safely to the Home Planet today, Dec. 11, for a rare nighttime landing, after departing the International Space Station (ISS) which had been their home in space for the past 141 days. A spectacular new image taken from Earth showcases the International Space Station (ISS) transiting our Sun this past weekend, as the orbiting outpost is temporarily home to an enlarged crew of nine persons hailing from five nations. The beautiful composite view of the ISS transiting the sun is shown above. It was released by NASA today, Sept. 8, and was created by combining a rapid fire series of five images taken on Sunday, Sept. 6, 2015 from Shenandoah National Park, Front Royal, VA, by renowned NASA photographer Bill Ingalls. 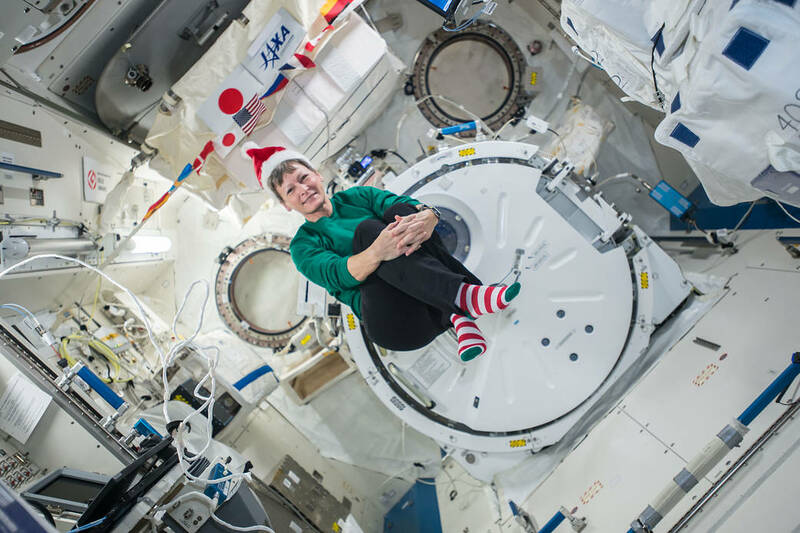 Ingalls is NASA’s top photographer for numerous space launches and NASA events worldwide. Exquisitely careful planning is required to capture events such as this solar transit which is over in barely the wink of an eye. The ISS was hurtling along at about 5 miles per second which has a rarely beef up complement of nine humans serving aboard for a short period of barely a week time. The cosmonauts and astronaut crew currently aboard comprises two Americans, four Russians, and one each from Japan, Denmark and Kazakhstan; namely NASA astronauts Scott Kelly and Kjell Lindgren: Russian Cosmonauts Gennady Padalka, Mikhail Kornienko, Oleg Kononenko, Sergey Volkov, Japanese astronaut Kimiya Yui, Danish Astronaut Andreas Mogensen, and Kazakhstan Cosmonaut Aidyn Aimbetov. They arrived aboard three different Russian Soyuz capsules. Among the crew are the first ever 1 year ISS mission crew comprising Scott Kelly and Mikhail Kornienko. They arrived at the ISS in March and are now about half way through their nearly 12 month stay aimed at conducting research to explore the impact of long term stays in space on the human body and aid NASA’s long term plans for a human ‘Journey to Mars’ in the 2030s. 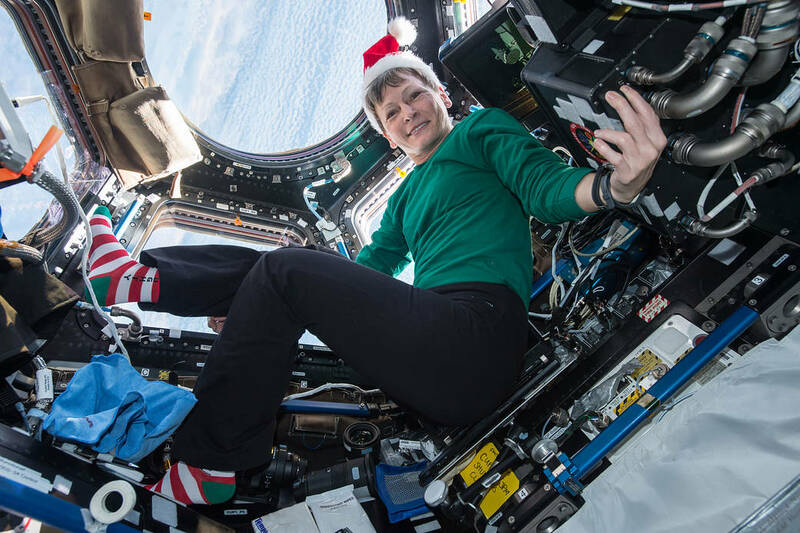 Kelly assumed command of the ISS on Saturday when it was formally handed over in a ceremony by Cosmonaut Gennady Padalka – who will soon depart for the voyage back home after completing his six month stint. This marks Kelly’s second time serving as ISS commander. He was also a NASA Space Shuttle commander. Mogensen and Aimbetov are first time space flyers and part of a short term 10 day taxi mission. Along with Soyuz commander Sergey Volkov of Roscosmos, they launched to the ISS aboard the Soyuz TMA-18M from the Baikonur Cosmodrome in Kazakhstan this past Wednesday, Sept. 2, 2015 and docked two days later on Friday, Sept. 4. Mogensen and Aimbetov will undock from the station on Friday, Sept. 11 along with Cosmonaut Gennady Padalka as Soyuz commander, the human with the distinction of the most time in space. Altogether Padalka will have accumulated 879 days in space over five missions, four on the space station and one on Russia’s Mir. Boeing and SpaceX are now building America’s next human spaceships under contracts awarded by NASA. ‘Starliner’ is the new name of Boeing’s CST-100 commercial crew transportation spaceship – as announced during the Grand Opening event for the craft’s manufacturing facility held at the Kennedy Space Center on Friday, Sept 4. 2015 and attended by Universe Today. Read my story – here.